I just purchased a new digi from Whimsie Doodles! 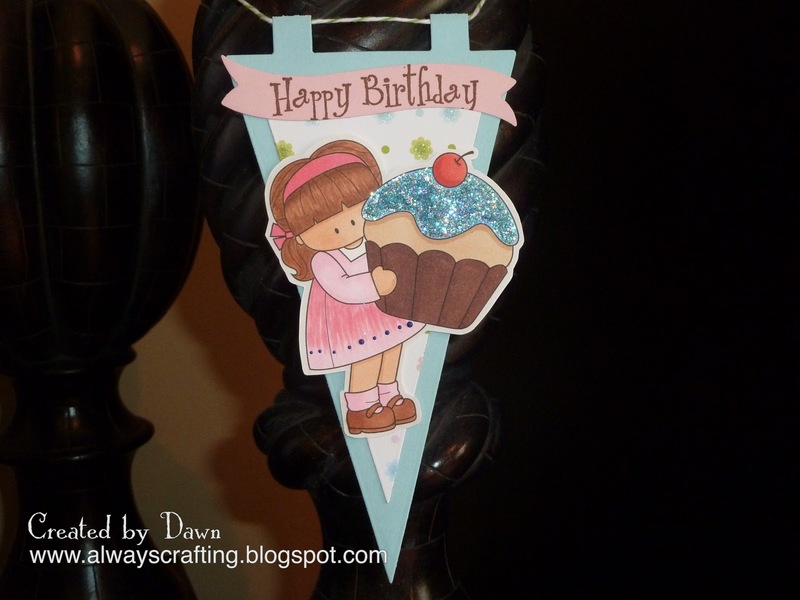 She is just purfect to make a birthday pennant for a certain birthday girl I know. The stamp Cupcake Leah can be purchased here. UPDATE : this pennant won the Whimsie Doodles Glitter Challenge! Ohh your banner is so SWEET!! I can't find an email to tell you that I used Copics for Clover Leah's hair, they were YR14,18 and E9. I love the details you coloured in Leah's dress, it's so pretty now! Your pennant is just beautiful. I'm loving the banner and glitter! Awww, this is very sweet! Adorable penant!! Love how you incorporated the Whimsie doodles image. TFS!